The US Dept of Defense has budgeted $54 million so far to develop the flying car and believes it will take four years to develop a prototype. The Defense Advanced Projects Agency (DARPA) has cleared the Transformer (TX) program for takeoff. 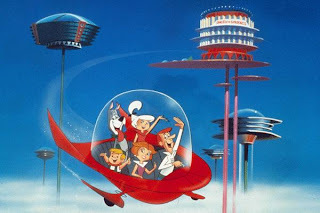 If it flies, by 2015 U.S. soldiers will be able to ride into battle aboard a four-person flying car that can cruise in the air like an airplane, drive on the ground like an SUV, rove 250 miles on one tank of fuel and not require a runway to get airborne. DARPA, the Department of Defense office that is tasked with exploring futuristic technologies that may have military applications, held an industry day workshop for companies earlier this year to solicit proposals for developing a prototype vehicle. Proposals are due May 27. The Transformer will give troops the ability to avoid traditional and unconventional threats such as ambushes and Improvised Explosive Devices (IEDs) and road obstructions.DARPA envisions a variety of use-case scenarios for the TX, including strike and raid, interdiction, intervention, insurgency/counterinsurgency, reconnaissance, medical evacuation and logistics supply. The notion of a flying car isn’t new. Remember the flying cars in Sim City 2000? What is new with the TX is pumping up the concept by demanding both enhanced performance and durability. Think of the TX as a super-mobile Humvee on steroids. It has to be able to fly as high as 10,000 feet with a minimum cruise speed of a light, single-engine airplane like a Cessna or Piper. It has to quickly change between ground and flight operations. The TX will also have to take into consideration ground crash safety for its occupants, handling, braking and passenger comfort. DARPA wants the TX to have the ability to automatically take off and land without a pilot while still offering a manual mode that would let the vehicle operator make flight steering commands in real time. Other desirable features are good forward and side visibility from inside the vehicle, dirt-road capability, easy reconfiguration for medical evacuation missions, low top profile and high ground clearance, four-wheel drive capability and the ability to handle small arms fire. Technologies that DARPA told companies it was interested in seeing incorporated in their proposals include hybrid electric drive, advanced batteries, adaptive wing structures, ducted fan propulsion systems, advanced lightweight heavy fuel engines, lightweight materials and advanced sensors. The Pentagon has budgeted $54 million so far to develop the concept. DARPA says it will take four years to develop a working prototype, a DARPA spokesman told TechNewsDaily.